The Committee heard three presentations on the annual report of Statistics South Africa (Stats SA) for the financial year 2013/2014. The entity’s performance was reported on by the Auditor General of South Africa, the Committee researcher, and by Stats SA themselves. Members were told that there had been a delay in the audit process, because the Auditor General was not certain as to which department Stats SA belonged. This matter had not yet been resolved, and the Committee was waiting for clarification on the issue from the Minister. The Department had obtained an unqualified audit opinion with no findings. However, there were non-material findings on the performance reports which had been brought to the attention of the Department, and which were going to be addressed. The Auditor General was worried about the financial health of the institution, because it had unfunded projects among its set targets. It was able to report under-expenditure only because of saving money by not filling vacancies. Now that the Department was filling vacancies, its finances would be strained. Members were told that Stats SA had managed to achieve 87% of its targets, but had spent 98.7% of its allocated budget. The Department needed to explain to the Committee why the targets achieved did not relate directly to the income spent. The annual report also lacked detailed information on which targets had been achieved and this was required, because it would help the Committee to match the expenditure with the service delivery. The Department needed to provide more information on the Pagisa contract, which had been highlighted as an error in the financial statements. The Department’s accruals had drastically decreased, but there was a need to explain the accruals that were older than 30 days. Stats SA said it was difficult to get skilled people to work at the entity, but it was easy for staff from Stats SA to get work elsewhere. The Department was faced with constraints, as training institutions were unable to produce the amount of human capital they required to execute their duties. The problem originated in the primary schools, which failed to produce candidates for science subjects at a higher level. The Chairperson expressed his disappointment at the absence of the Statistician General, after the Committee had gone out of its way to hold the meeting on this date at the request of the Statistician-General, who had not called to make him aware of his absence. If he had known earlier, he would have postponed the meeting for another day. The Committee would never make such an exception for a special meeting again, given their bad experience for the day’s meeting. For budgets and annual reports, an entity had no choice but to come at the specified times for the Committee meetings. Mr Morore Mphahlele, Chairperson, Statistics Council: Statistics SA, said the Statistician General apologised for his absence. He had been keen to attend the meeting but had been recalled to New York on very urgent official business which, if he had failed to return, would have jeopardised the work he and his team had been doing in October. The Acting Statistician General was present for the meeting in his place. Ms Maryann Whitford, Senior Manager, AGSA, tabled the presentation on Statistics South Africa’s audit outcomes for the financial year 2013-2014. She apologised for the state of her documentation and said that this was because the AGSA had been made aware of the meeting only the day before. She also added that there was still confusion as to which department Stats SA belonged to. The Chairperson said that the matter of where Stats SA actually belonged had not yet been resolved, but the Minister would be approached to find a solution. Ms Whitford said that the entity received an unqualified opinion with no findings, compared to an unqualified opinion with findings from the previous year. The findings from the previous year related to the material adjustments that were required on the financial statements. The same situation did not arise in the year under review. There were non-material findings under “reliability and usefulness” on the performance reports, which were listed as focus areas which the AGSA was concerned about and the Department was fully aware of. The AGSA did not have any problem with the Department’s compliance with legislation or supply chain management. They picked up a few minor problems in this area, but Stats SA was really trying to address the issue. The Department had a senior management team which had helped it improve on its audit outcome to a clean audit, which was to be commended. The AGSA had been able to have meetings with the executive authority on a regular basis. In the past the AGSA had had concerns with the Department’s internal audit because of problems within the unit, but this position had tremendously improved in the year under review. There had been minimal interactions between the Portfolio Committee and the Department, because initially it was not clearly known where the department fell, but this problem was being resolved and the interactions would improve going forward. If the Department were to address the issues related to internal control areas, they would be able to get a clean audit. The main areas of concern under the internal controls were performance information -- there were problems on the audit action plan, record keeping and information technology. There had been an improvement in the quality of submitted financial statements, but there was a problem with the quality of the submitted performance reports. Although this had not impacted on the audit report, there were concerns where the material adjustments needed to be made to the performance information that had been submitted for programme five. This information related to statistical information given as evidence to support the performance information that had been submitted for programme five. The Department needed to take note of this area and put in additional action plans. The issue of supply chain management had been looked at transversally across government to establish whether there were individuals employed in other government departments that were doing business with Stats SA, as well as employees of Stats SA doing business with other government departments. It was very difficult to pick up this problem, but separate checks indicated that this was happening and it was a transgression of what was allowed. In terms of the other outside suppliers, management had put in place mechanisms and was taking consequence management very seriously to ensure that the proper process was followed. The AGSA was concerned about the financial health of the Department, because it had areas in its mandate that were unfunded. The only reason why its budget did not indicate over-spending was because of the several vacancies within Stats SA – it was using the funds for the vacant positions for the unfunded projects. Currently, the vacant positions were being filled, so going forward -- especially in the current year – it would face funding challenges. This problem had been raised at the various levels and the Minister had also indicated that he would take it up very seriously. The other problem the Department faced was that when they went through exercises like carrying out a census, they had to employ a vast number of employees. These had to be put through a vetting process to assess whether their records were clean or not, but since it needed these individuals immediately, they were appointed with a condition stating that should they find that the person had a criminal record, they would be dismissed. However, this never happened, because they needed the people to carry out this line of work. Their IT system delayed the submission of the “pass out” policy. However it had been submitted to the executive, and feedback was now awaited. The Department did not do the business continuity plan which related to their resource problems timeously. It had combined assurance levels, where all individuals played their roles. The first level was management, which was comprised of senior management, the Statistician General and the executive authority; there was the oversight level, which comprised the National Treasury, internal audit, the audit committee, and the AGSA, because they are an external audit and part of the audit process; and then Government’s role comes into play, consisting of the Portfolio Committee, the Public Accounts Committee and the National Assembly, that would oversee and ensure that the mandate was driven by proper administration. 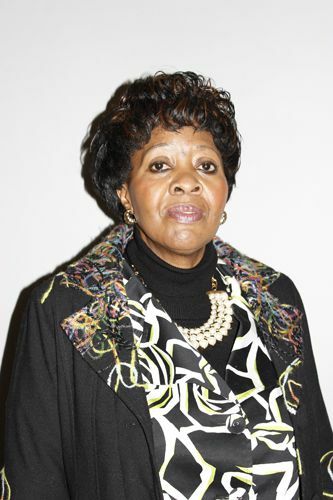 With regard to service delivery, there must be robust financial and performance management systems in place to assist in achieving the clean audit; there must be an independent review of the reporting by the AGSA; there must be commitment and ethical behavior from the department, as well as the AGSA; and oversight and accountability of all. The AGSA had a booklet which sets out guidelines on how to address the transgressions affecting the audit outcomes. There were several problems affecting the Department. Some of them included the unfunded projects within the budget, the predetermined objectives, and the performance information, where the AGSA indicated that they did not want similar findings in the coming years. Ms Bridgette Diutlwileng, Senior Researcher, Finance and Public Accounts cluster, tabled the researched analysis for Stats SA’s annual report. Her presentation focused mainly on areas where the Committee needed an explanation from Stats SA -- like their achievements, and challenges in terms of their performance. One of the achievements that had been brought to the attention of the Committee was the fact that Stats SA had achieved 87% of its targets in the financial year under review. There were a few challenges that prevented Stats SA from achieving all its targets. There had been a separate analysis of the performance of the divisions of Stats SA. For example, the Population and Social Statistics Programme spent 99.7% of its budget, but achieved only 79% of its targets. In such an instance, they looked into the expenditure trend compared to service delivery performance. Overall, Stats SA had spent 98.7% of its budget and some divisions were doing better than the others in terms of matching expenditure with performance. The report did not clearly indicate what had not been achieved in terms of targets that were partly achieved, and they wanted to see a match in terms of expenditure and service delivery performance. The issue regarding the performance of the Department had been raised by the AG, but there were no issues raised regarding the reliability of information. The report of the AG indicated that the entity had attained an unqualified report, but there were some matters of emphasis that needed to be looked into. For example, there was a note in the financial statements which had been declared an error by management, and it related to the period ending 31 March 2013. This note referred to corrected fruitless and wasteful expenditure in terms of a recalculation of lease amounts for office space for the prior period. The note was on the “Pagisa” contract but it was not clear what it was for. Stats SA needed to explain this contract to the Committee, so that they could understand what it was about, because there were several challenges relating to it, like operating lease agreements for machinery and equipment and recalculation of lease amounts. There had been irregular expenditure, as well as fruitless and wasteful expenditure, incurred within the Department although this had not been raised by the AG. Most of the wasteful expenditure related to prior financial years, but had not been condoned in the year under review. There had been written warnings, and investigations from the previous financial year were still under way on these expenditures. The Committee needed to be briefed on the irregular expenditures from the previous years that arose from the permanent appointment of foreign nationals instead of contract appointments, as well as the appointment of a foreign national without a valid work permit. Wasteful expenditure had arisen from services procured but not utilised, and for office space that was leased and paid for but not utilised, and this amounted to R2.3 million. Investigations had been carried out on the matter and sums allocated for a refund, but there was a need for Stats SA to clarify the issue to the Committee. The Department’s accruals had drastically decreased, but there was need for an explanation to the Committee on the accruals that were older than 30 days. The institution did not under-perform in terms of human resource management, but there were still gaps. The most common reason for this was employee compensation, and when Stats SA was not spending money on employee compensation, the human resource constraints were highlighted as a factor preventing some targets from being met. Obviously, the Department wanted to recruit staff in order to ensure that the ideal performance was achieved. Stats SA had to decide how it was planning to overcome this challenge in the future. It also had to report on the status of the investigations into the irregular, fruitless and wasteful expenditure -- had they been completed or nearing completion, and how many were still under way? Ms Kefiloe Masiteng, Deputy Director General: Population & Social Statistics, Stats SA, said the entity had received the AG/PFMA (Public Finance Management Act) clean audit award from the AG, based on the fact that its 87% of targets achieved had been achieved in a clean manner. Stats SA fulfilled the vital role of ensuring that there is evidence-based decision making in the country. They supported the system for planning to ensure that there is information to measure achievement of long term goals; the system of monitoring and evaluation ensures that measurement is still the order of the day and progress is measured in all the programmes and policies that are implemented in accordance with the goals and targets that are set. They also see themselves within the broader national statistics system, having to provide the evidence of accountability for the State overall. Stats SA was currently in fourth year of its strategic plan that started in 2010 and was to end in 2015. They had six strategic priorities in the fourth year and had achieved 87% of the set targets in the previous year. The most important target was the census 2011, where they pulled together the footprint and built the organisational systems to ensure that they achieved all that was planned. In addition to this, they had built governance and administrative capability within the organization. One initiative had been to devolve some of the functions from the head office to the provinces, making sure that the provinces and districts were starting to have a proper footprint. In phase two, after the 2011 census, the focus was on making sure that they disseminated the information they had received. New products had been developed, like “Roambi,” and they were still providing more information, using the developed platform. Stats SA had maintained and consolidated its economic and social statistics service. They had been able to acquire money for the new building launched in September 2014, and were going to continue building statistical capability and interactions with schools and municipalities. They were going to make sure that they continued building the same capability within their own organisation. Going forward, the Department was mainly looking into ways of increasing trust and public confidence, and had managed to achieve this with their users and stakeholders. Their administrative mandate concentrated on improving capacity development, focusing on schools and internships -- for example, the Centre for Regional and Urban Innovation and Statistical Exploration (CRUISE) course, which is their internal master’s programme, where they encourage Stats SA employees to pursue master’s courses. Attention had been given to facilities management, where they had secured a new building and hoped to occupy it in the next 22 months; financial administration, where for the financial year under review they had received an unqualified audit opinion; human resource management, where they had a 9.7% vacancy rate and were looking at rolling out the talent and management framework; and integrative planning and reporting, where the Department had designated one center where all its reports were integrated and produced a single document on the work which they were doing. The Department had used 99.2% of its budget. This had not translated to the percentage of targets achieved. 62.5% of the budget was used for compensation of employees, 34.5% was used on goods and services, 2.4% was for payment of capital assets, and 0.1% was used on payment for financial assets. In the future, Stats SA aimed to continue informing development in South Africa. It would ensure that the National Development Plan would have the information that they would use in 2030 to determine how far the country had come by measuring impacts and outcomes. The Department’s first priority was learning and growth, to ensure that they continued to promote statistical literacy in society, working with what they already have achieved at school level, the methods of statistical programmes they have, the training of teachers, and the adopting of schools where they try to use some tactics to get students to like doing maths and statistics from an early stage. There was also the issue of statistical and technical competencies with the work that they were doing with the universities at tertiary level. They had to ensure that they continued building the institution along the issues of strategy, governance and accountability so that there is a predictable and sustainable process and the agenda for change is advanced. On statistical leadership and management on the work that is supposed to be done internationally, Stats SA currently has one programme called Civil Registration and Vital Statistics (CRVS), where it was in the process of assessing how South Africa was doing in terms of working with different departments. Nationally it was looking at legislative reform, and was in the process of ensuring that it moved from being just the producer of statistics to coordinating production and the use of statistics, building what would be called a national statistics system for the state, and not only for Statistics SA. The second priority was to ensure that they were a bit confident about their productivity and the production of statistics to date. They would improve some of the frames that they use in terms of statistical production, where the frames would be strengthened to ensure that they continued to form the basis for their sampling. They would continue to promote the standards and classifications to ensure that they abide by and respond correctly to international standards. With regard to statistical production, they would continue with their innovative collection methods. They would also look at strengthening and enhancing statistical coordination within the country, starting with making sure that the current Act is reviewed and a new legislative framework is put in place. They want to move to a point where all statistics produced in the country can be certified according to the correct guidelines that would come from the national statistics system. The third priority was to increase information access and use through statistical briefs. Stats SA will interact more and provide more information to portfolio committees. They intend to improve their relationships with parliamentary researchers in a manner that improved interpretability and understanding of the numbers, as well as with the broader fraternity of researchers in the country. They will partner with departments producing statistics to ensure that they are understood and used correctly, and that the numbers used in Stats SA surveys were seen as complementary to the ones produced by the Department. There will be a move towards providing information at the lower levels, especially focusing on the municipalities. The fourth priority would be to look at international statistics development, where they would contribute in playing a leadership role in the Africa Symposia on Statistical Development (ASSD). Since the successful 2010 Africa count, they were moving to the second round of population censuses in the 63 countries in Africa. Stats SA would contribute into the CRVS, where they would try and get the assessments to be done in all the African countries in terms of their Civil Registration and Vital Statistics. They would continue to contribute technically and make sure that there was strategic support within the country, within the organization and also across the national statistics system. Stats SA would continue to lead the consolidation of Africa’s population and economic numbers. Mr B Mathunjwa, Chief Financial Officer, Stats SA, said that the Pagisa contract was a transversal contract entered into by the Department of Transport and the service provider. All government departments made use of this service provider for sourcing vehicles for official duties. In the present case, they had requested vehicles for five years, but there had been a miscommunication between the Department and the Department of Transport (DOT) on the terms of the contract. Stats SA had executed a five-year contract, and was not aware that the DOT required that the contract be renewed on a yearly basis. This was the reason for the problem with the Pagisa contract. This problem had been corrected, and would not arise again within the Department. On the issue of the targets achieved not matching the expenditure used, he said that some of the budget allocations for the set targets had been moved to the unfunded projects, resulting in the targets not matching the money spent. The issue of foreign nationals employed without the relevant documentation had been investigated and a memo had been submitted for approval to the Minister. They were still waiting for the Minister’s decision on the matter. For the one foreign national without a valid work permit, they had written to Home Affairs and were waiting for a response in that regard. On the accruals that were not paid within the 30-day period, he said that services had been rendered to the Department, but the invoices had not been provided for payment. The Department was making a follow-up on the matter to make sure that the invoices were actually paid. The fruitless and wasteful expenditure arose from the lease of office space which the Department never used. The matter and been turned over to the corporate governance unit, and feedback would be forwarded to the Committee once it had reached a decision on the matter. The Chairperson said that the researcher’s question about using almost 100% of the budget and achieving only 87% of the targets was a legitimate one to ask. The Committee needed to be informed of any projects in progress in order to ascertain the gaps within the targets achieved, because if they were given smart answers on how the Department’s budget was spent, in practice it did not help the Committee, as well as the country, to move forward. The Chairperson commended the DDG, Ms Masiteng, her on a competent and well done job. Achieving 87% of the targets set by the given standards was very good, especially in the context of the Department having attained a clean audit. Some people set low targets with the aim of achieving them at 100%, but did not think this was the case with the Department. However, the Researcher was right to raise the question of the expenditure not directly translating to the targets achieved. At some stage, Parliament needed to move forward to actually look at what was the reasonable measure in each entity, between the percentage of expenditure and percentage of targets achieved. An issue had been raised in a previous meeting on the issue of not just filling vacancies because they were vacant. Members had laughed at this, but they needed to go beyond such issues and refrain from asking the same questions year after year when it was clear there was no way of taking the matter forward. The question might not be why they had not filled their vacancies, but whether they do not need the vacancies to be filled. He supported the Minister where he stated that the Committee needed to look at outputs and outcomes to determine whether they were achieving, rather than looking empirically at the percentage of staff they employed, because they could have 100% of staff and achieve only 80% of their goals. The issue of raising the same questions year after year had become boring, and they needed to move forward from such issues and raise more important issues, like equity. Ms T Tobias (ANC) had raised a critical point from a previous meeting, stating that if the nation needed women to be employed, a conducive environment for employing women had to be created because women were the main care givers. If there was an environment where they could bring their children to work in the form of child care facilities, the women would be more likely to take on jobs across the various departments of government. Raising such issues took the debate forward, otherwise the Committee would have to ask the same questions year after year on why the vacant positions within the Department have not been filled, or why there were no women employed in the given sector, or why there were no Africans. He proposed that the Committee go beyond the same issues they raised year after year and start questioning the Department on their progress with the annual reports, on employing more African women in positions of employment, asking questions like what were they doing to recruit African women to go and study, and what bursaries they were giving to them, especially those from the rural areas. There needed to be a change in the mode of interaction with the Department, especially focusing on moving forward which would allow the Chairperson to refuse to allow some questions to be asked because they had been frequently asked over the years. He wanted new questions to be asked because the Committee needed to improve its ability to exercise oversight. Ms S Nkomo (IFP)said that she would have liked Stats SA to have given the Committee more information about issues like inflation and unforeseen circumstances, because it was very important for the Committee to get an understanding of the expenditure trends in relation to the service delivery of the Department. There would always be a question if 99% of the budget was used, and a lesser percentage of the targets was achieved. A further explanation on the matter was needed to make it clear to the Members. Ms Diutlwileng said that Stats SA produced quantifiable targets and products, but their reports to the Committee would not, according to economic statistics, include all the details of the targets which the Committee failed to achieve. For example, if the Department wanted to produce 12 reports in a year, one for each month and skipped one, such a target would not have been achieved. The Research unit chose not to include such information in the reports they produced for the Committee, because it would be very tedious for the Members to read. Members had been provided with a more understandable comprehensive report of the targets achieved. Thus for the year under review, 87% of targets were achieved, and this information was collected from the Department’s issued periodic reports, economic reports, social reports, and demographic reports, which also inform the markets and are relied on by the investors. Some targets were not achieved timeously, so it was better that these results were also reported so that the Department had to explain to the Committee why this was so. An example of this issue arose in the administration programme, where one of the issues of non-performance was raised as delays in finalising audit reports. This information was not detailed in the researcher’s report, but only issues of main concern to the Committee. Ms Tobias said that if the Department had set out to perform 100% of its targets and achieved only 80%, the best thing to say in such circumstances would be that they did not achieve to the best of their abilities, based on the certain impediments. In some countries, if you state your ability to perform and do not perform to the best of your ability, there would be punitive measures. For example, if a Chief Executive Officer did not perform, he would be sacked. The Committee was not telling the Department to always achieve 100% of the set targets, but they wanted know of the impediments in place preventing them from achieving 100%, because these impediments were a reality. There were several factors that impeded the good intentions for the country -- for example, projections of 5% economic growth, which were sometimes affected by factors like the global financial crisis -- but when such impeding factors occurred, it did not mean that they had failed to do their best to achieve their ambitions. It only meant that there was a problem in the process of attaining those achievements, so you leave them unachieved. She wondered whether the way they were asking the questions was the problem, but said that they were the same questions only because they wanted to improve the Department’s ability, and did not mean that the Committee was unappreciative of their efforts. They were only trying to set the bar higher for their achievements. She believed the Department was the best on the African continent, and peer review by the continent would attest to this fact, but this should not make them arrogant and say that they were doing well and nothing more needed to be done. There was a lot more that could be done and they had the potential to compete with the best of the world, and should not be afraid to be to be peer reviewed in that context. It was crucial for the Department to know that there were always unintended consequences, but it was the art of managing to overcome them, as and when they came, that mattered. Ms Celia De Klerk, Executive Manager: Strategy, Stats SA, said that Stats SA subscribed to internationally accepted special data dissemination standards for most of their publications, except where the government prescribed special dissemination standards. Methods like the Consumer Price Index (CPI) and Producer Price Index (PPI) were all international data reporting standards. The entity was very specific on setting their standards. For example, on every third Wednesday of the month they would publish the CPI, and had been very consistent. No leniency was provided, to which the AG would concur. They had achieved 99% of their targets on their publications, but would consider taking the advice of the Researcher to report on targets that had been partially achieved, especially on population and statistics. The practice of Stats SA was to report a target as not achieved if by 31 March it had not been achieved, and in most cases they would miss the deadline for achieving these targets by three or four days. When the body of work had been done, but no evidence could be adduced as to whether the publication had been made by the 31 March, such a target would be reported as not achieved. In units like population and social statistics, with some targets one would find that 79% of the work had been done but the specific target had not been meant for completion by the end of the financial year. This would be reported as not achieved, but Stats SA were now going to start considering reporting on the targets that were partially achieved. The main reasons for not achieving the targets under population and social statistics, was the integration of more than one relevant product and dependence on external data. For example, vital statistics were very dependent on external information. So when the body of work is done but its quality was questionable, the Statistician General prevents the publication of the statistics on the grounds of irrelevancy. A lot of interrogation has to be done to ascertain the accuracy of information received from external bodies. The Department had introduced a new system of trying to obtain information from the eternal bodies. They were requesting evidence to support information and where they failed to produce such evidence, it was cut off. Mr Ashwell Jenneker, Deputy Director General: Statistical Support and Informatics (SSI), Stats SA, responded to the questions raised on programme five, which dealt with the geography, ICT and business modernisation of people, where it was alleged that the performance did not match the evidence. He said that the people who were the subject matter in this programme were not difficult, but different. Their first research had captured 14 million dwelling places, but they had failed to produce evidence for this with the AG, which had led them to the conclusion that they were wrong in terms of how they had conceptualized the evidence and what constituted the evidence. All the attempts of explaining to the AG how this data had been obtained were frustrating for both parties, and the AG’s office had always come back with more questions into their research. They had to explain that all the information arose from a data base that they were building and some of the information they had produced was a duplication of some of the material from the data base. They had come to the conclusion that they did not get things right at first, and thus needed to rethink and redo the entire process so that they could provide “snap shot” information every time they had to produce data. The year under review was unusual, because they had moved from producing data for only 500 000 dwelling points per year to convincing the organisation to spend a huge amount on the entire dwelling frame so that the data collection process could be completed. They had managed to capture four million dwelling points and update nine million points, which was better and more useful than the 500 000 points which they used to collect on a yearly basis, and which was no longer going to be useful because the whole process would have taken 30 years to be completed. The collected data would then be handed over to the municipalities for maintenance -- for the Department, and for themselves. The Department had not yet got the system right, but had made a few changes in the new financial year and had reached a stage of willingness to amend their data base and amend their processes so that they could account for their statistics at the right time. Ms Masiteng, on the number of investigations within the Department, said that there were a total of 1 093 for the financial year 2013/2014, excluding those from the labour relations investigations, and none had been registered from the AG’s report. Mr D Van Rooyen (ANC) requested a progress report on the issue of introducing statistics training or literacy programmes in schools. This matter had been raised in a previous meeting and the biggest problem was training teachers to teach statistics. He wondered how the Department was going to measure the impact of its intervention going forward, since they were conducting workshops to interest learners in a statistical career. Did the Department know the number of learners making the decision to take up a statistical career? He requested details on the statistics course, where 42 students were enrolled for a three module course, but had failed to complete it due to difficulties with the service provider at one course. He requested clarification on why the Department had to wait until 2016 to occupy its new office premises, and whether the waiting was saving the Department money or not. Ms Nkomo started off with the template of the actual expenditure input, which she thought was too simple and left out some critical information. It was different from the templates provided by other departments, which were basically templates stipulated by the National Treasury, which provided information on the savings and under-spending, among others. However, the Department’s template gave only the appropriation of the final expenditure, but not the issues that went on in between, as well as the variances and how much was spent. She asked about the progress of the statistical literacy society, in which provinces the programme was being run, and who was actually doing it to ascertain whether they were actually literate enough to take it forward. The transfer of funds between programmes had been applied for, and the Chief Financial Officer had been authorised to approve these transfers between programmes. She wondered how the process applied to the Department, on the grounds of shifting funds between programmes and sub-programmes. Her understanding was that funds could be shifted only within one programme to other sub-programs, but the position of the Department was different, as funds were shifted between programmes. She wondered whether it was right to call income resulting from vacant positions within the department as savings, because she thought this was under-spending. The indications of savings in the annual statements were not savings but under-spending disguised as savings, and this needed to be clarified. She requested the Department to look into the issue of fruitless, wasteful and irregular expenditure to actually establish if it was really fruitless, wasteful and irregular expenditure. She commended the Committee administration team on giving them the necessary documentation on time, because this had given them an opportunity to read through the documents of the meeting and actively participate in the meeting. Ms Tobias said that there was a principle that a shift of funds between programmes could not go beyond 8%, and if the Department had done wrong, it needed to admit to this wrongdoing and then relate to the challenges for people to understand what had caused this position. Departments needed to be aware of expenditure trends so as not commit funds that were non-existent, but rather copy expenditure templates from Departments that were doing very well. She requested the Department to raise its problems upfront in future in order to help the Committee to know of the existing problems. Mr S Matiase (EFF) requested clarity on the opinion of the AG on the financial statements of Stats SA. There would be nothing to celebrate if the Department had several instances of fruitless and wasteful expenditure, because this indicated that the Committee was failing in its oversight function. It would be a good decision to hold those responsible to account for the fruitless and wasteful expenditure, because there was need to determine the value of the money wasted and for the perpetrators to be brought to book. Mr Mphahlele said Stats SA faced challenges to sustain the good performance that was on record in the annual report. It was difficult to get skilled people to work in Stats SA, but it was easy for staff from Stats SA to get work elsewhere. The Department was faced with the constraint from training institutions being unable to produce the amount of human capital required to execute their duties. The problem originated in the primary schools, which failed to produce candidates for science subjects at a higher level. The Statisticians Literacy Community was an initiative trying to encourage students to study maths and sciences, to ensure that the country, as well as Stats SA, was able to get the human capital required. The programme was in its initial stages and aimed at capacitating the teachers so that they could teach the subject. The Department was not only running short of statisticians, it was also running short of actuarial scientists, and this was a very small community in South Africa. They needed to ensure that the universities were encouraging students to study these very rare skills. The universities were faced with the problem of ageing professors and the inability to retain top students that were snatched away by other opportunities before they could even graduate or reach the PhD level. The Department had engaged in partnerships with other institutions of learning in order to find lasting solutions to this problem. The Chairperson said that he measured performance not according to what happened in other states of the world like Sweden and Japan, but in his 21 year experience in Parliament and by the standards of other entities and how they performed, Stats SA was doing very well. He said the job of the Committee was to probe and push the Department to do better. The Committee needed to be held accountable for the areas where they failed to perform, because they also had problems. The Committee needed to do more to try and help the Department to try and solve some of its problems, because this was part of its oversight function.